What is Andrew CSD’s policy on homework? At Andrew, we feel there are many learning opportunities that continue our student’s learning and enhances their school day. Our LEAP after school program, enhances student’s learning by continuing academic as well as enrichment programs. We also know, that many of our students participate in after school activities through community sports or other community activities and organizations. The research from this article also states that there are “no clear benefits of homework during the elementary grades.” The effects of homework do begin to positively correlate with testing outcomes by 6th grade. The amount of homework that correlates to benefits for students is 10 minutes per grade level which is similar to the amount of reading minutes that are beneficial to students. For example, if a student is in 6th grade an appropriate length of time to work on homework would be 60 minutes. 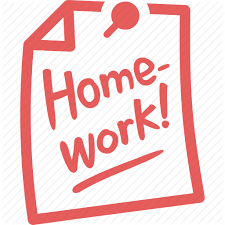 The benefits of all homework should: develop good study habits, encourage a positive attitude toward school and show students that learning can take place at home and at school. At Andrew, we believe that all of these habits can be developed through having students participate in nightly reading either independently or with their family. Some teachers at Andrew may provide students with homework at night to encourage and support parent-child relations and communication. Even if your child does not have assigned homework from their teacher a great “homework” activity is to have your child explain their work or artifacts that they have brought home. Students can also interview parents about their own experiences regarding a specific topic. We hope that this helps to answer some of your questions about homework and what we do at Andrew. Please feel free to talk with your teachers more about what will take place in your student’s classroom regarding homework.